Serena Williams: In just her 7thtournament back, #ThisMama continues to defy the odds. Two early-round hardcourt losses prior to the US Open? No problem. Serena was untouchable in a lopsided defeat over older sister Venus and came back to take a 3-set win over Simona Halep-slayer, Kaia Kanepi on her way to the quarterfinals. With improved movement and her devastating serve back, she’s looking like the favorite to take her first title since motherhood. Fashion: Always a preview to New York Fashion Week, the US Open is a showcase for tennis fashion, especially since there are day and evening looks. 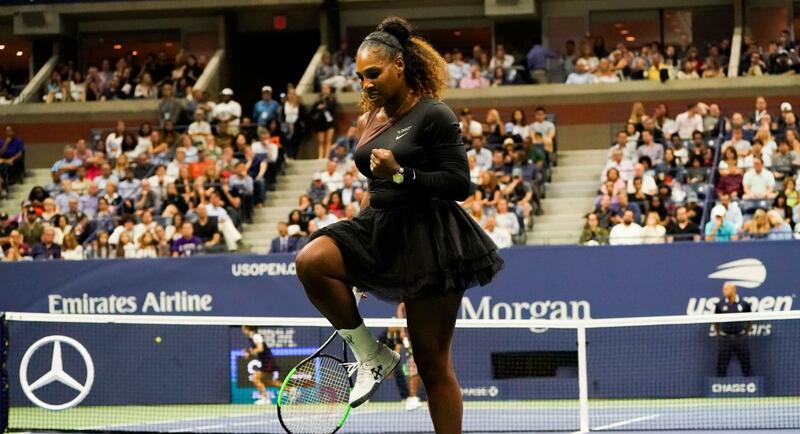 Serena William’s athelete-meets-ballerina kit with a layered tulle skirt and a one-shoulder silhouette top by fashion designer Virgirl Abloh in collaboration with Nike has drawn rave reviews for its uniqueness and flow. Nike’s tunic dresses overtop peekaboo patterned compression shorts seen on Halep and Stephens also gets high marks for form and function while Sharapova’s outfit features a V-neck design with keyhole cutouts and a “guava ice” (orange) insert. Venus Williams: Last year’s US Open semifinalist and 2015 Wuhan Open champion played beautifully in her first two rounds against dangerous players, defeating fellow past champion Svetlana Kuznetsova in a 6-3, 5-7, 6-3 high-quality match, followed by a straight set defeat of always-dangerous Camila Giorgi. 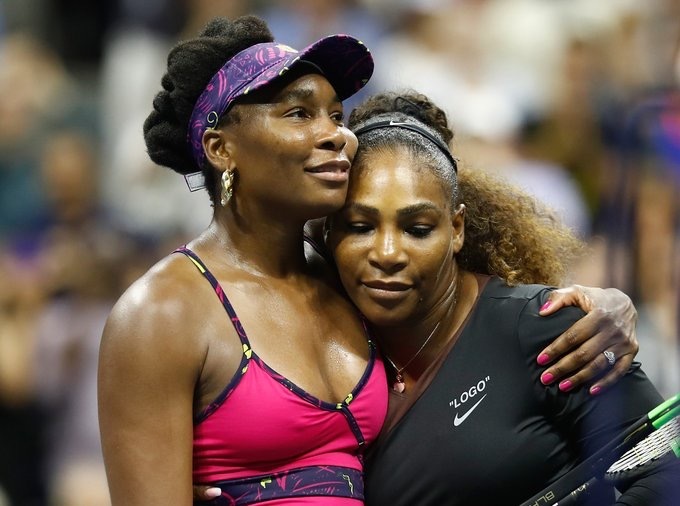 She unfortunately faced her zoning younger sister in the third round where Venus acknowledged it was possibly the best Serena had ever played against her in their 30 meetings. Even though only one winner could emerge, the incredible sister act is still the best sibling story in all of sports. Wuhan Open Finalists: Unfortunately, no Wuhan Open finalists survived Week One. 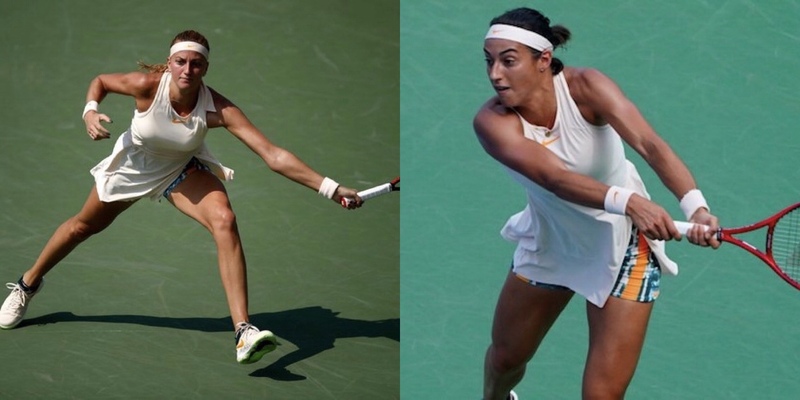 Two-time Wuhan Open champ Petra Kvitova joined Venus in bowing out in the third round, falling to rising star Aryna Sabalenka while last year’s champion, Frenchwoman Caroline Garcia, and runner-up Ash Barty both fell in the Round of 16. 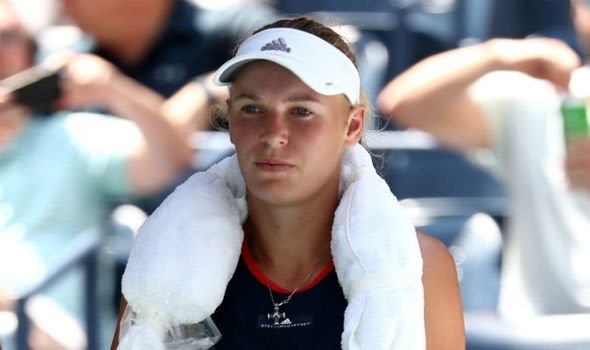 Garcia lost to Carla Suarez Navarro while Ash Barty lost to Karolina Pliskova but is still alive in the doubles with partner Coco Vandeweghe. Comeback veterans: Patty Schnyder and Vera Zvonareva, two of the game’s veterans came back from retirement and injury respectively to qualify for the main draw. Zvonareva is a former Wimbledon finalist while Schnyder is 39 years old, falling in the first round to Maria Sharapova a full 20 years after her first of two US Open quarterfinals defeating Steffi Graf en route. 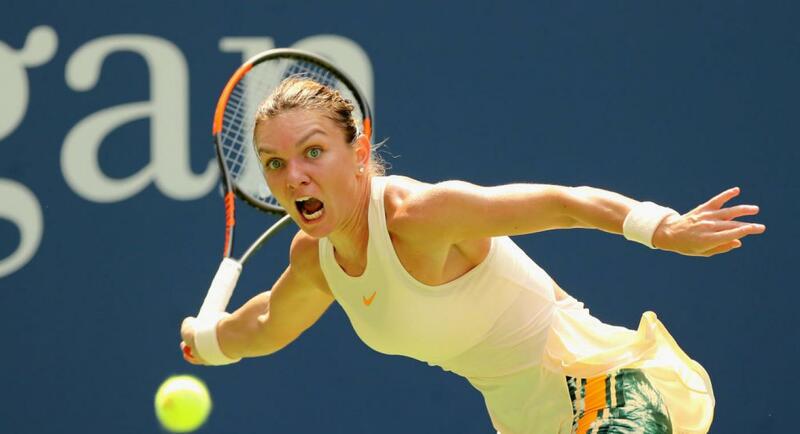 Simona Halep: The pundits’ favorite to win her second Grand Slam, the Romanian came in with the best lead-up results but fell rather meekly to unseeded Estonian Kaia Kanepi in a shock 6-2, 6-4 loss, becoming the first top seed to lose her opening match at Flushing Meadows in the Open era. A former world No. 15 now ranked 44th, Kanepi can definitely get hot and sledge hammer winners from both wings, but you would’ve liked to see Halep try out different game plans in an attempt to disrupt the Estonian’s power. In the end, the numbers told the story: 26 winners for Kanepi against just 9 for Halep. The silver lining for Halep is that she retains her No. 1 world ranking despite the loss, no matter who wins the Open. Reigning Grand Slam Champions:The only reigning Grand Slam champion to survive Week 1 is Sloane Stephens. 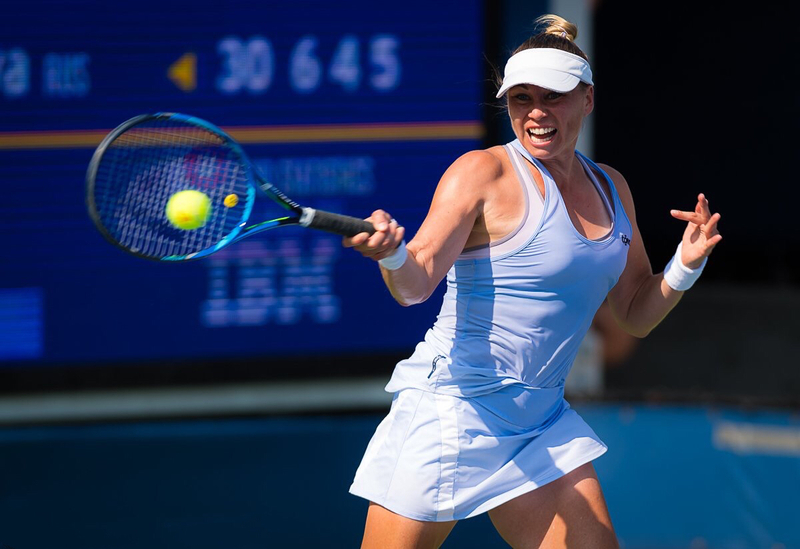 Joining French Open champ Simona Halep on the sidelines, Australian Open champ Caroline Wozniacki went out to Lesia Tsurenko in the 2ndround, while Wimbledon winner Angelique Kerber lost to Dominique Cibulkova in the 3rd. With Jelena Ostapenko and Garbine Muguruza also out, that means that unless Serena or Sloane can win next Saturday, it’ll be the first time since 1937-38 that there is no women’s repeat champion in a two-year period. New York heat: Temperatures rose to 35.5 C, but together with the 47% humidity, made it feel like 49 C on court. There were multiple heat-related retirements and the Heat Rule went into effect for both the men and women, with players gladly taking the 10-minute break allowed after the second set for women and third set for men.